Today was a fun day! Yesterday we experienced quite a snow storm, and it caught us off guard! Stella & Joy didn’t know WHAT to think. 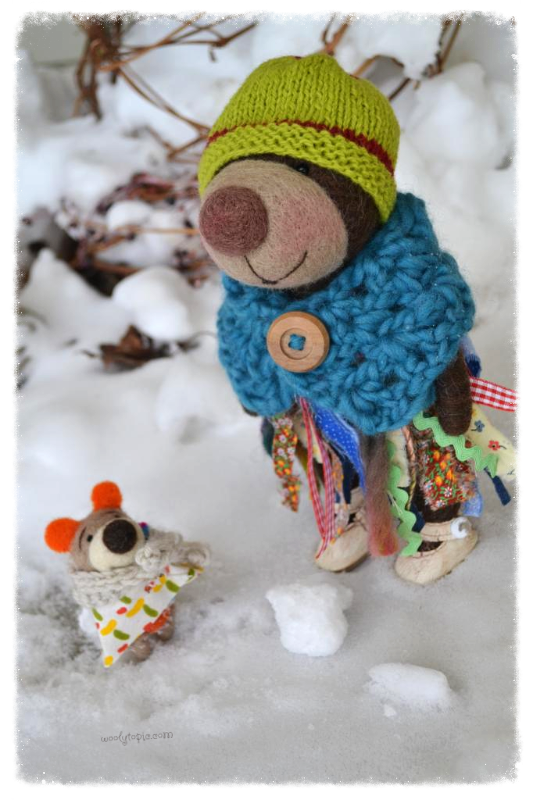 I bundled them up in some beautiful woolens and out we went to introduce them to the snow. 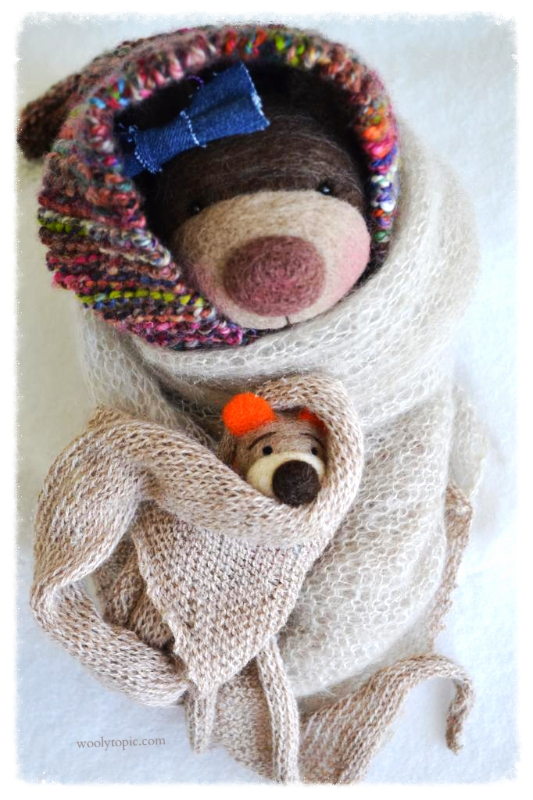 As you can see, they were shivering little bears! Today, they embraced this white stuff and we got bundled up again into some playful gear and the girls even made snow balls. What a pair they are. Have a great weekend woolly peeps! < Previous Stella the Ham! Next > Saturday Night Stories. BeeBear Style. At It Again – Anatomy Whale! woolytopic on Stella the Ham!